About Something Good (ASG) was started in 2013 by author Andrea Yerramilli and her husband as a vehicle to curate, inspire and share goodness in the world. In a world where negative images flood the media, and words like “hate” get tossed around so easily, Andrea felt she needed a space that encouraged and focused on the words like “love” and the beauty that is life. She believes that there is good everywhere and in everyone, and you just have to look for it. And when you start looking it’s not hard to find. Through ASG Andrea hopes to inspire and help her children, the next generation and the future, find that life is beautiful. That when you go looking for love, you find more than you usually need and then you in turn can share that love to those who are looking. She also believes in the power of unconditional love. The kind that is always with you and the concept of “Always Loved” was born. 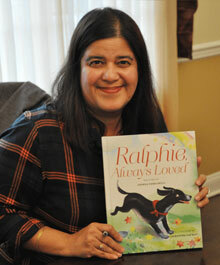 About Something Good’s Publishing arm was started in 2017 and debut its first book “Ralphie, Always Loved” in October 2017.